While our northern friends are looking for cute things to keep warm with, we’re just now getting below 90 degrees here in Houston! 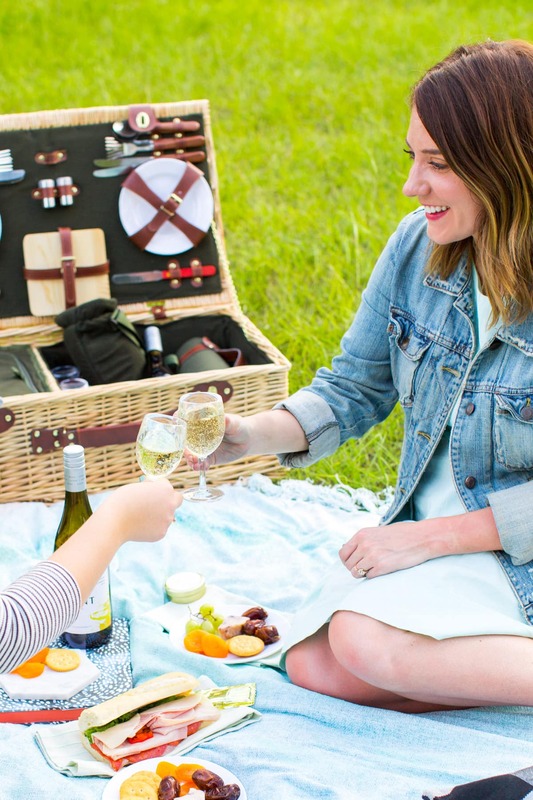 It’s a sad truth that I’m finally learning to cope with after about seven years living here, but I will say that we get quite the perfect, long picnic season during our version of “Fall”. 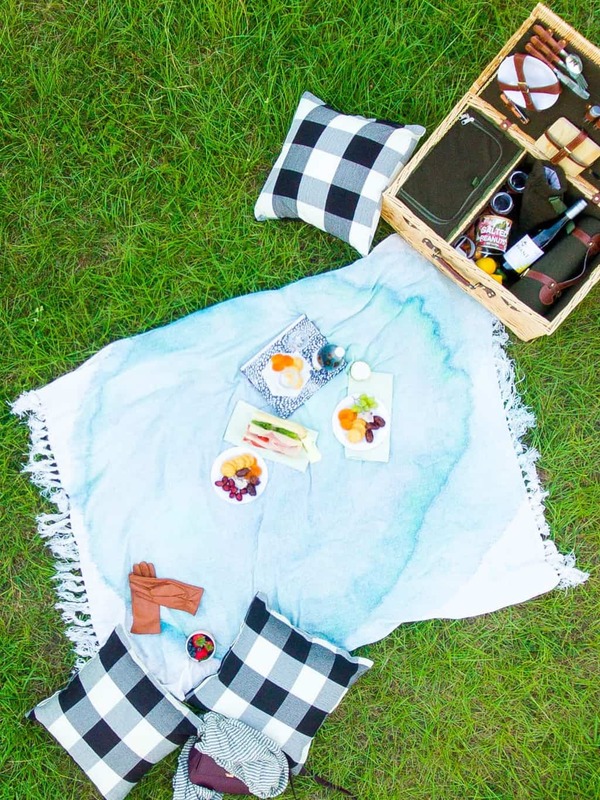 To keep things fair across the board, you can totally use this DIY watercolor throw blanket for cold weather cozying up, or as the perfect fall picnic blanket. Of course we wouldn’t be the color lovers that we are if we didn’t make the design equally expressive, so we mimicked the new Kendall-Jackson AVANT wine bottle with a teal watercolor splash motif that’s SUPER simple to recreate. 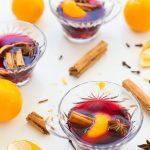 If you can spill liquid, you can make this one— so I’d say we all qualify! 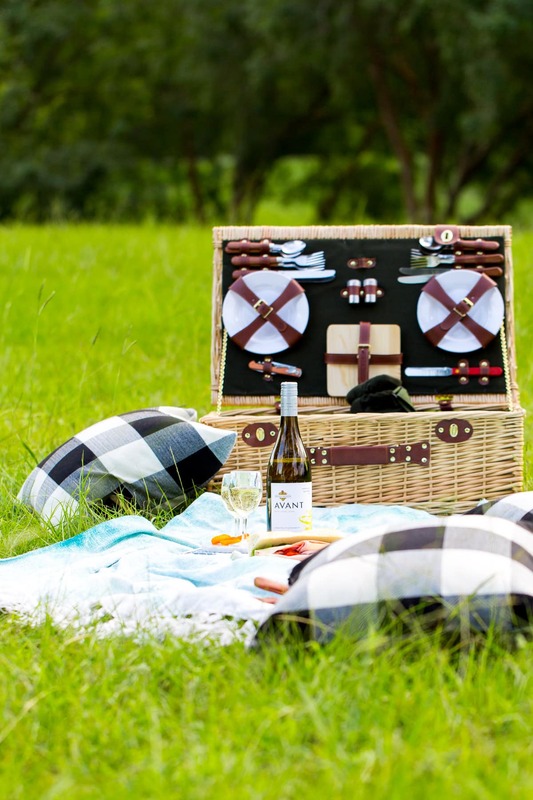 Seriously, am I just bias on account of it being my own discovery, or is this not the cutest picnic basket ever? I justified it as being an investment piece that we could use forever. It also has a secret built in cooler, which is what I consider winning! 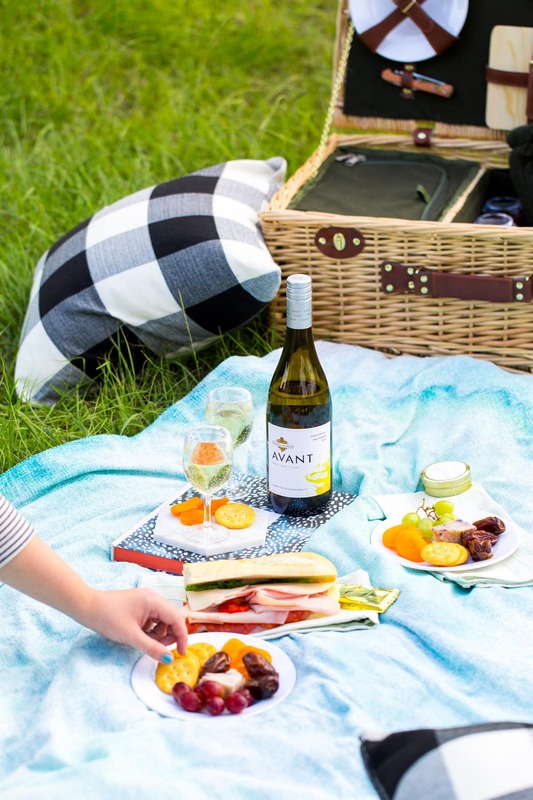 We also took along the K-J AVANT Chardonnay and Red Blend bottles for a picnic addition that matched our splatter blanket. What can I say? I’m a sucker for cute design. Being that I’m not exactly what you’d consider a wine snob, I’m more about the wine being a great addition to any occasion. 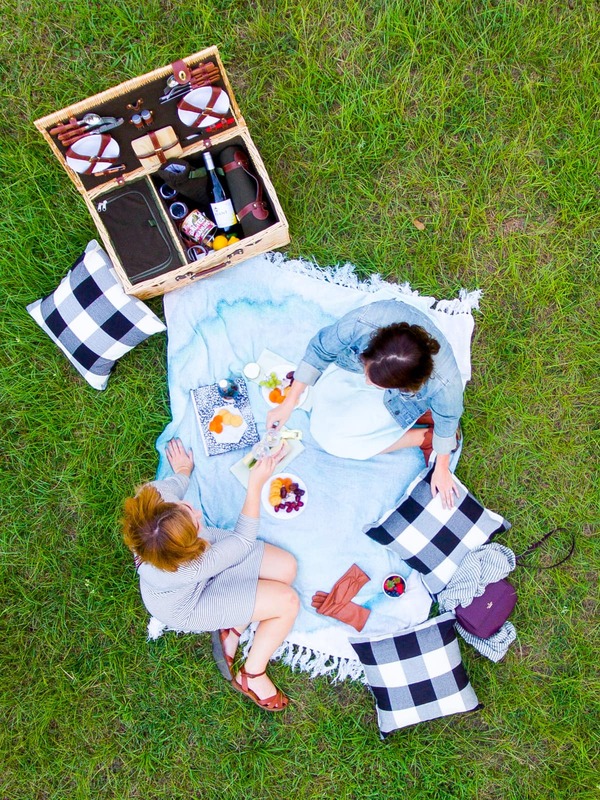 In this case, the simple screw top is perfect for a spontaneous picnic anywhere/anytime, as you don’t need any tools to open it. 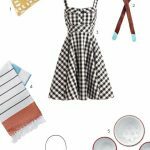 Instead of packing fussy food items, we went with simple pairings that fit the season and the wines. You can get more inspiration for yummy pairings for just about any occasion with Chardonnay and Red Blend here. As for our tastes, we decided on fresh dates, dried apricot, grapes, blueberry marbled cheese, and an assortment of crackers. Naturally Jared had to go big by requesting a full on deli sandwich, but I also learned a long time ago to let him roll with whatever he wants to eat to keep him happy, ha! Now for the important part: making things comfortable. I decided to take a long a few checkered throw pillows for lounging, and of course, the watercolor throw blanket. 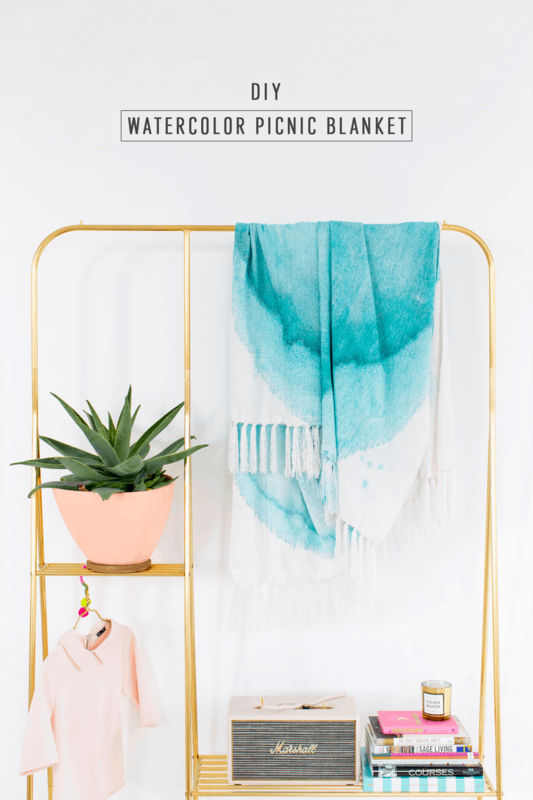 When it comes to choosing which throw blanket to customize, keep in mind that cotton takes to the dye a lot easier than the chenille one that we used, but I loved the high quality look and feel of it. They’re both equally do-able though! If you have access to a grassy area, that’s the easy way to go about the dyeing portion. We only had white studio floors, so I used a large drop cloth under my blanket. First pour hot water onto the center of the blanket in whatever size watercolor circle you’re hoping to make. Less is more because the fabric will absorb water past just where you’ve poured. 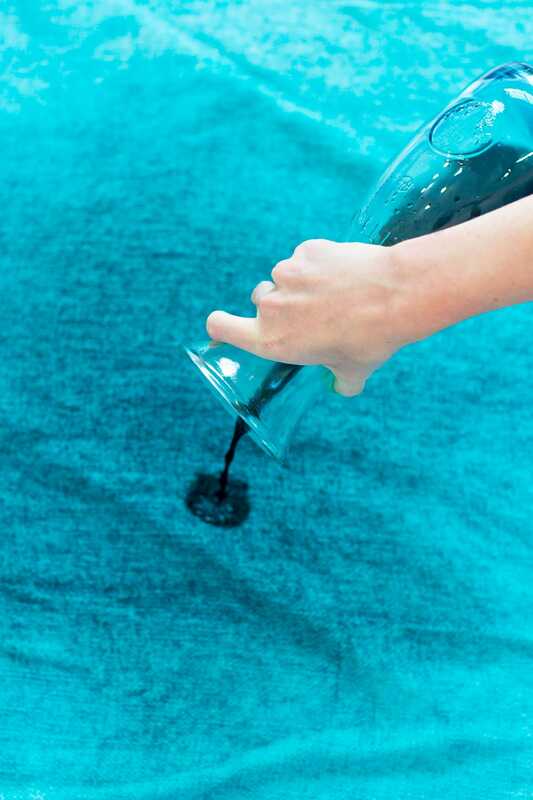 Using plain water first will help the fabric take to the color. In a glass or plastic pitcher (that you aren’t worried about accidentally dyeing! 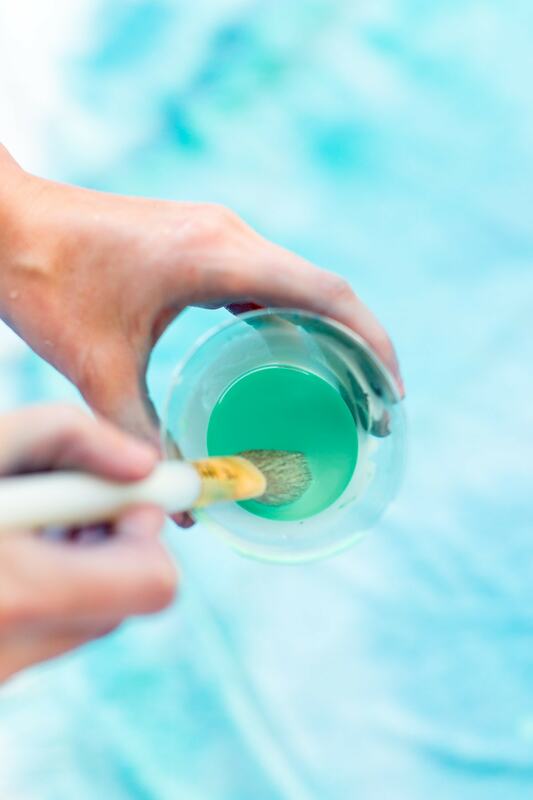 )— pour a small amount of dye into it, and then fill the rest with hot water. This is going to be your least saturated coat, and also the largest coat. Pour the mixture in the center of the blanket and let it spread. Prepare a second pitcher with slightly less water that’s a bit more saturated, and pour it onto the blanket in splotches. 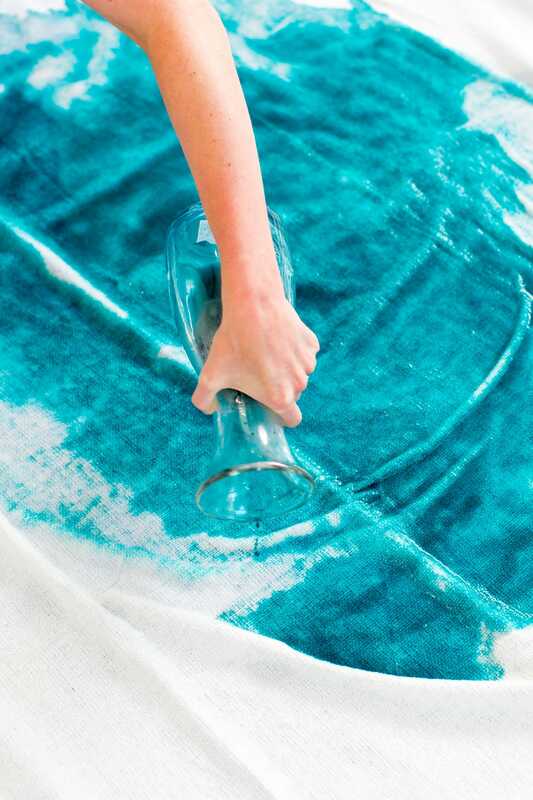 Lastly, make a small pitcher of highly saturated liquid dye, and use it for fun splatter accents on the blanket by holding the pitcher up higher to create a controlled splatter effect. 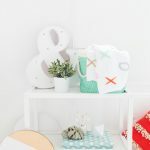 I liked the idea of taking it a step further to mix lighter splatters on top of the darker dye, so I mixed mint green fabric paint with a bit of water to create an additional effect on top of the other colors. 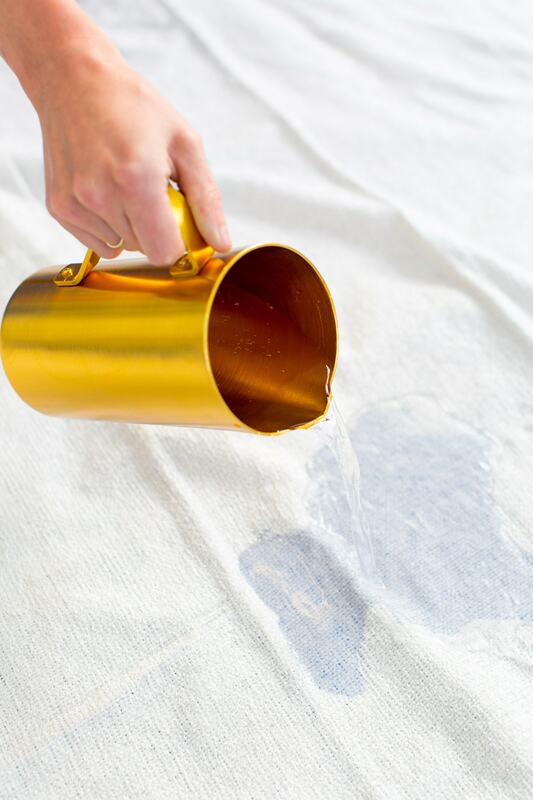 Let the blanket with dye dry thoroughly instead of rinsing it with water quickly. The chenille fabric takes quite a bit more time to absorb the color than cotton did. When it’s fully dried and needs a final rinse from the extra dye, pick the blanket it up from the very center and let it drape. 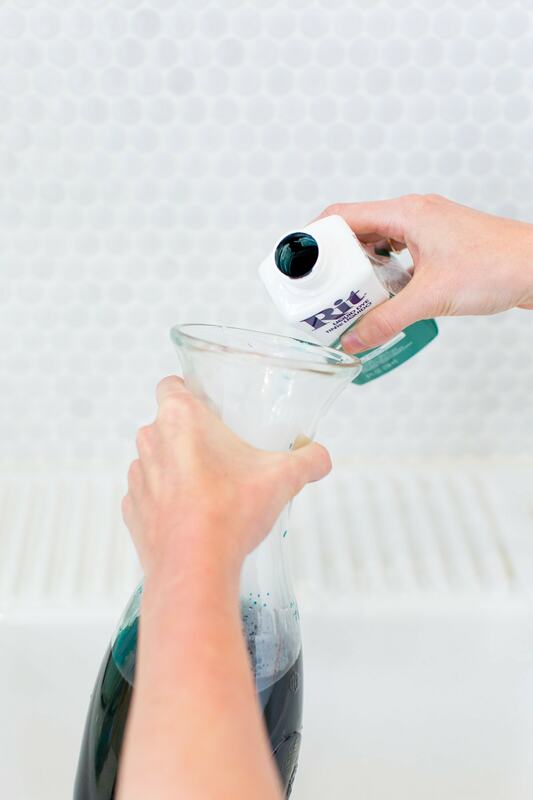 Instead of fully submerging the entire blanket in water, only rinse the areas in the center with the dye so that the color doesn’t bleed onto the pure white portions. Once well rinsed, dry it in the dryer or on a clothes line in hot weather to fully set the color. I have to say, I love the way it turned out! What do you guys think?! 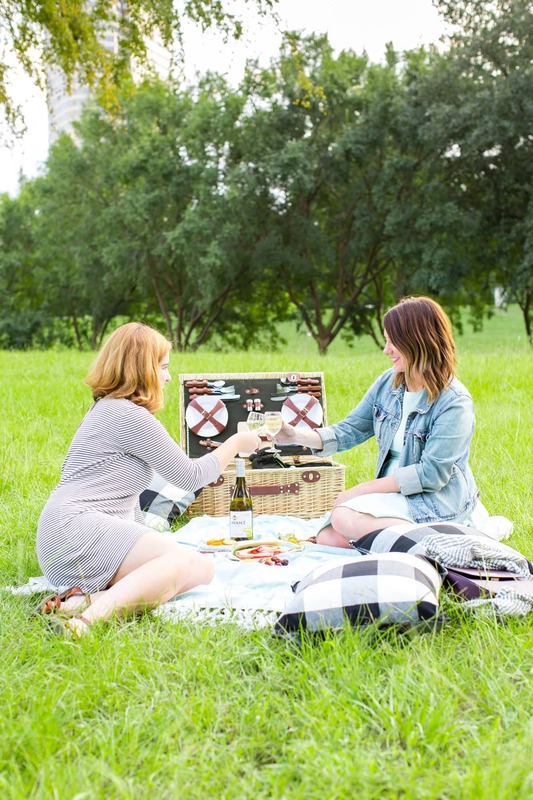 We’d love to know what your favorite fall wine pairings are, too! 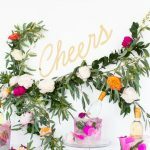 We’re so excited to have partnered with Kendall-Jackson on this post, and we hope you loved it also! We’re definitely partial to a pretty bottle, but it was delicious! This is so cute! I will definitely have to give it a go. It’s starting to get really cold where i am and i can think of nothing lovelier than snuggling up under this. How fun! Still about 90 degrees here in Houston, ha! Oh my lord, it is freezing here in Missouri. It snowed the other day! 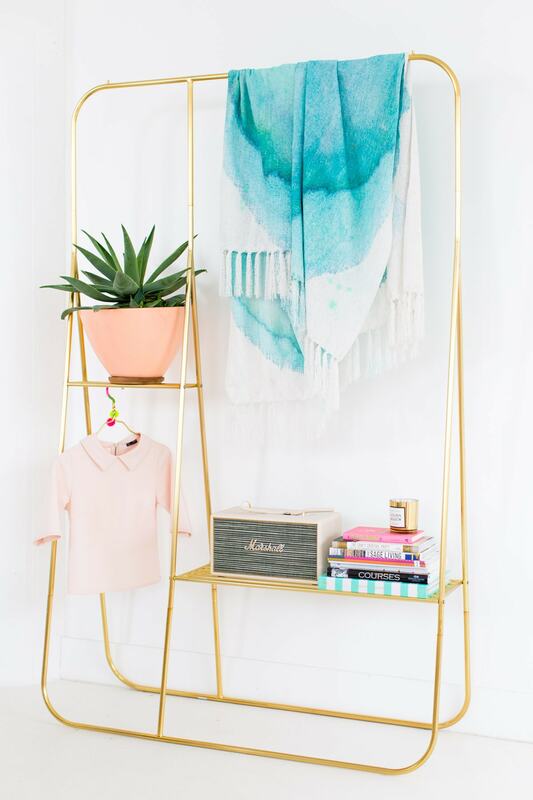 love the blanket and have to know where that gold wardrobe rack is from. my girls room needs one! Wonderful! I like it! I just need a blanket now to try it! So glad you like the DIY, Miriam! Where was the gold rack from? Oh my goodness, this would be so cute for a date with my bf. Thanks so much! This post is amazing, thanks for sharing those great tips with us!